An orderly put them to bed on their 75th anniversary. 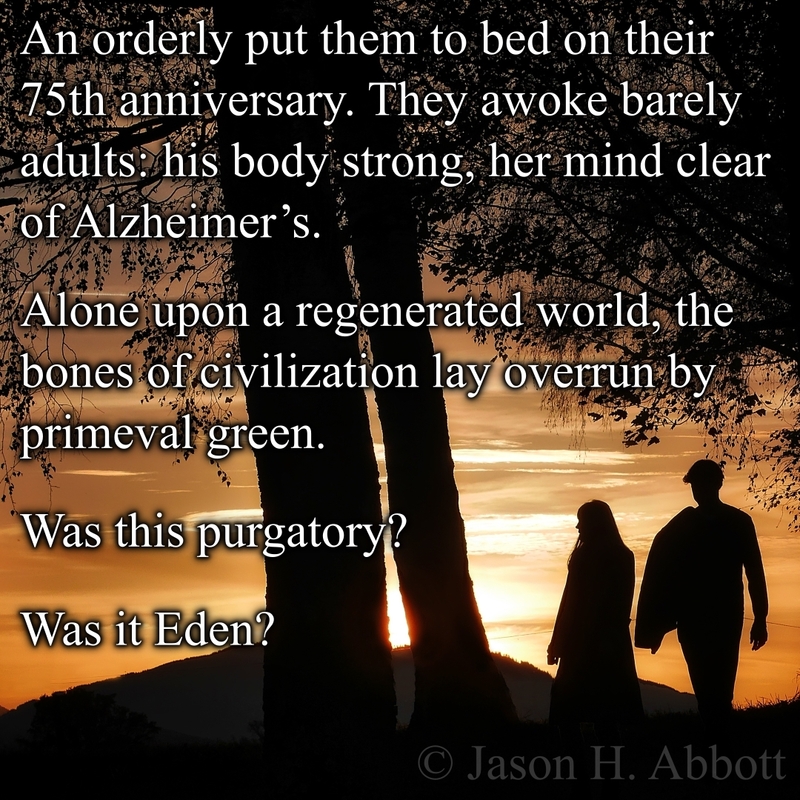 They awoke barely adults: his body strong, her mind clear of Alzheimer’s. Alone upon a regenerated world, the bones of civilization lay overrun by primeval green.